2012 was an exciting year. Our team has shot and published over 100 Google Tours using Google's awesome Street View Technology. 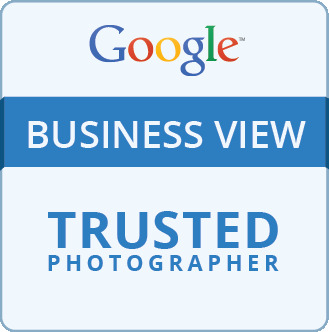 For us, the best part of being a Google Trusted Photographer has been the priveledge to experience and share local Indiana businesses with the rest of the world. Indiana is not just a crossroad, but it's a place worth checking out. When we think about our work in 2012, we don't think of numbers or personal accomplishments, but instead, we think of the dog-loving, open and honest, Barbara Munchel at the Cigar Haven. We think of the Hot Pink Gorilla Suit worn by Fat Atom's Creative Director. We think of Roy at Mudbugs and how his Crawfish Casserole and Beignets make me want to bring them both to a party and say, "I made that". We think of the volunteer-powered bookstore, Bloomington knows as Boxcar Books. We think of St. Elmo's and how they embraced us, believed in us and were just down right nice. Those thoughts are how we determined that 2012 was one damn good year. Don't judge a business by their curb appeal because it's really what's on the inside that counts and I'm not referring to tables and chairs, but rather the owners and crew... they are what makes a place so special. Here are 10 of our favorite Google Tours from 2012 & here's to experiencing many more Indy businesses in 2013!